Since SVGs made by outside designers have to be formatted to work in different programs, there will be some adjustments that are needed or wanted once the project is on the canvas in Design Space. This tutorial and video will show you how to customize files once they are uploaded to Design Space. A simple card is a great first project to try with your new Cricut. This tutorial will show you how to make an easy card and build your confidence using Design Space. The Color Sync panel is a great tool that can be used to change image colors quickly or to combine colors. Here are some tips on how to use it in your projects. 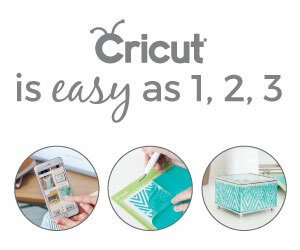 In Cricut Design Space, attaching is used to hold cut placement. When a design has multiple colors, each color must be attached separately. This tutorial will show you how to do that. When creating cursive text in Design Space, the text won’t be connected automatically. There are a couple of different ways of dealing with this and getting the words to cut as one piece.